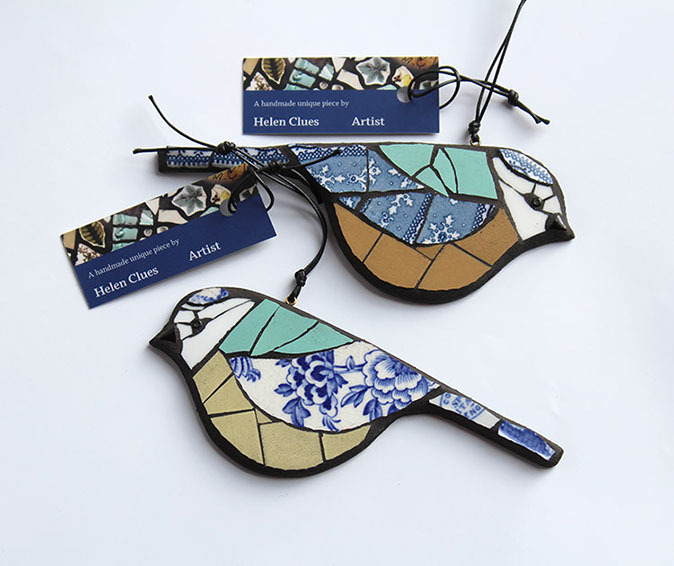 Helen Clues is a mosaic artist living and working in Warwickshire, England. She trained in Art & Design in Carlisle in the 1990’s where her passion for materials and processes began. 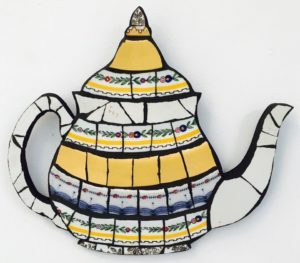 Always searching for, experimenting with and combining different media. 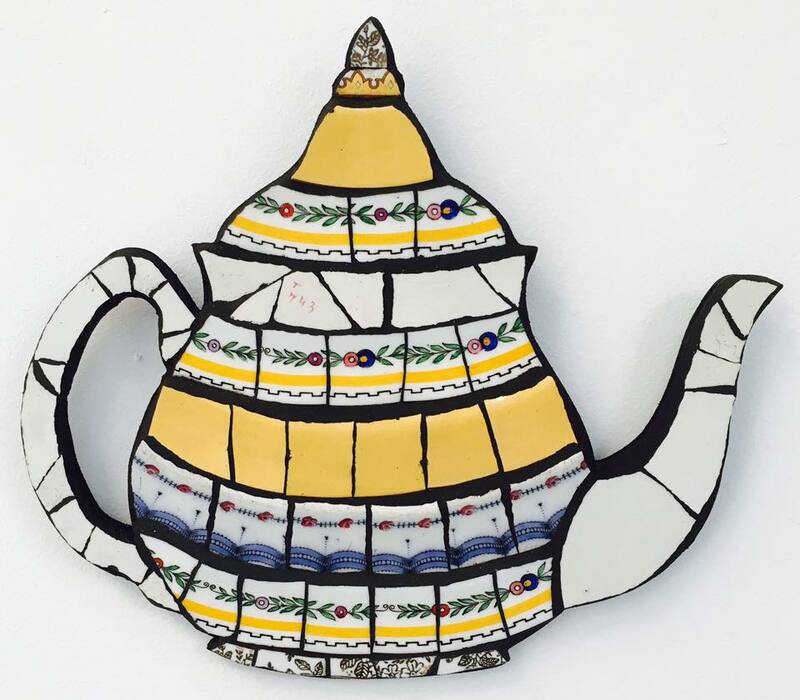 Her mosaic work is decorative and functional, using found, collected and traditional materials. 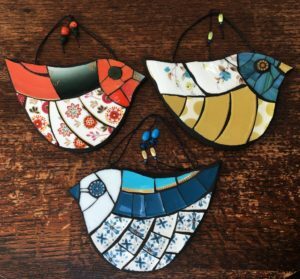 Mosaics by their very nature can be heavy, Helen’s pieces are refined and delicate so reflecting the original objects that inspired them. 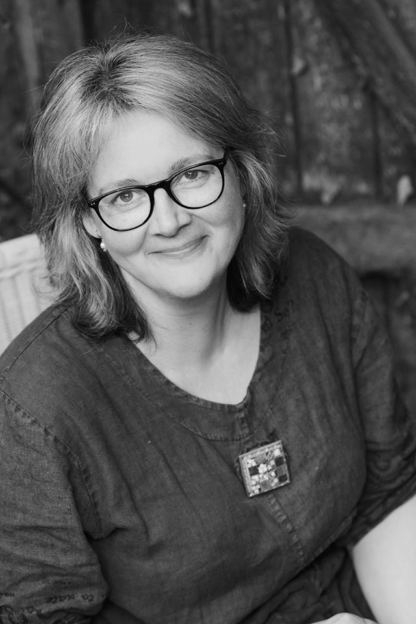 Helen is represented by galleries throughout the UK and runs workshops encouraging others to explore their own creative potential. 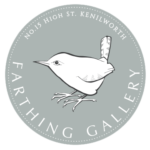 You can purchase Helen's work at The Farthing Gallery in Kenilworth.